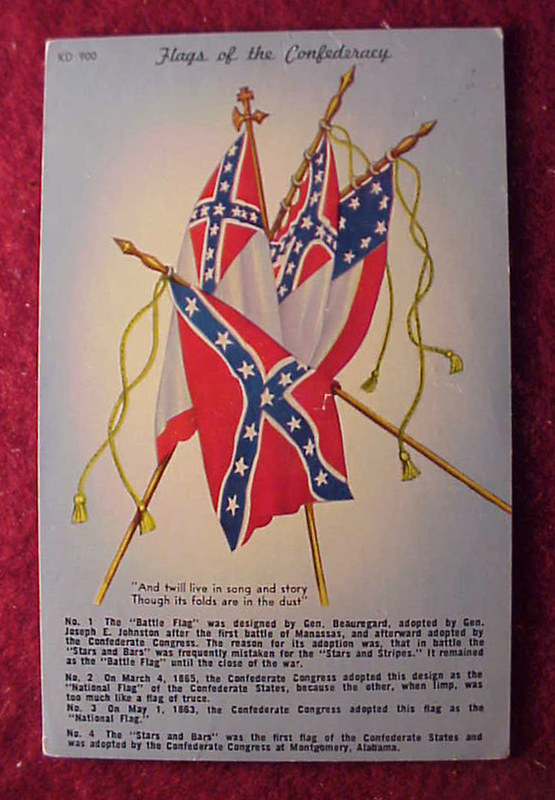 This is a vintage postcard from a 1960s distributor in Gettysburg "Flags of the Confederacy". 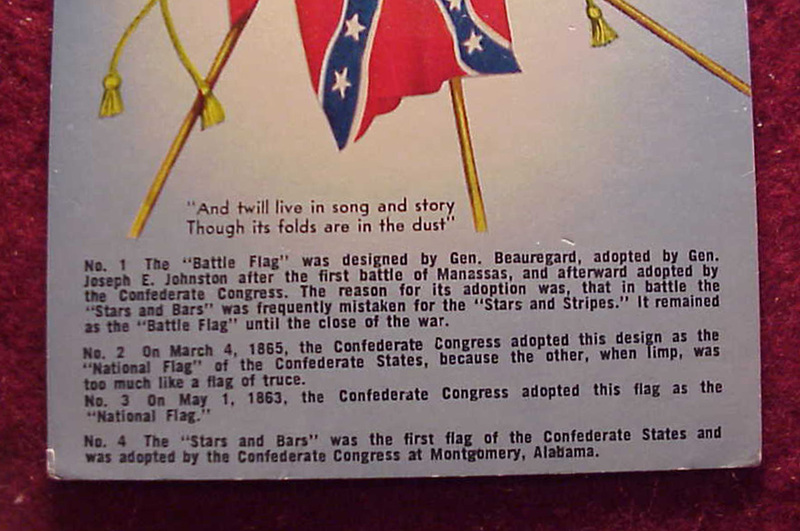 Descriptions of each flag type are under the images of four different type battle banners. Bright. 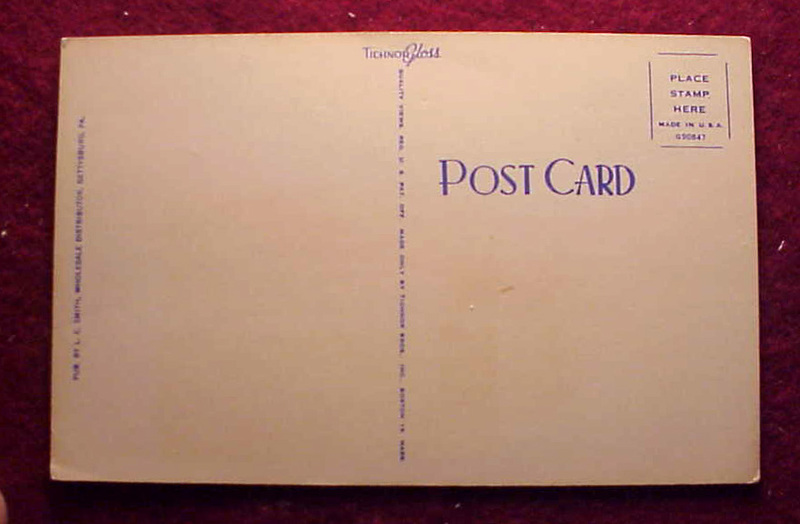 Never sent. Has some minor dings.